Fun fact: Elmer’s Glue was named after Elmer (no, not Elmer Fudd), the fictitious cartoon mate of the company’s famous symbol, Elsie the cow. And the logo for Super Glue was created after a radio show contest proved Super Glue was strong enough to hold a car hanging from a crane! What the heck does any of this have to do with beading, you may ask. 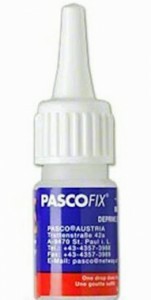 Well, whether your addiction craft happens to be beadweaving, stringing, or creating mixed-media jewelry, there’s a good chance you’ll need some type of jewelry adhesive from time to time. Enter our handy-dandy guide to choosing the right glue by jewelry artist Molly Schaller. 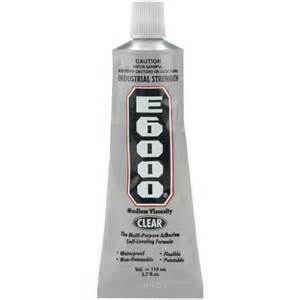 EPOXY: Epoxy is a heavy-duty, multipurpose adhesive that works well for permanently bonding nonporous surfaces; sets in 5 to 30 minutes, depending on the type. Uses: attaching large stones or cabochons to mountings or bezels; attaching flat-back crystals to other items. 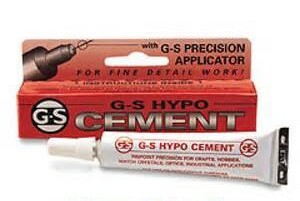 JEWELER’S CEMENT: Jeweler’s cement is a medium-duty, quick-drying, waterproof adhesive that’s perfect for most nonporous jewelry applications; sets in about 10 minutes and dries clear. Uses: affixing small flat-back crystals or ephemera to other items; securing knot- or braid-cord ends; appliques. 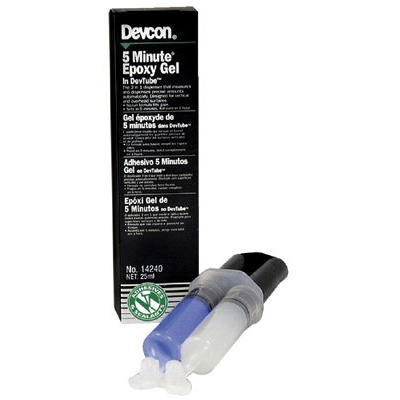 ALL-PURPOSE CONTACT ADHESIVE: These are medium- to heavy-duty adhesives that can be use on porous and nonporous surfaces. They work best when applied both to the item to be glued and the surface it needs to stick to; sets in about an hour; curing time is 1 to 3 days for a permanent bond. Uses: when flexibility is necessary, such as securing a knot on elastic cord; flat surfaces; irregular surfaces, such as textured metal; when a water-resistant bond is called for; to affix backing to bead embroidery. INSTANT-FIX GLUE: Strong, instant glue that has a thin consistency that helps it dry to near invisible. It works on all nonporous surfaces, including metal. Uses: when you can’t wait for glue to dry or cannot clamp the item to be glued into place; when gluing a round bead to a vertical surface; securing memory-wire ends to memory wire; attaching a pinch bail to a crystal. *Always read the manufacturer’s directions and warnings before using any adhesives for details on any safety risks involved with using the glue and information on what materials to use it with. And here’s an easy way to put your newfound glue knowledge to good use! 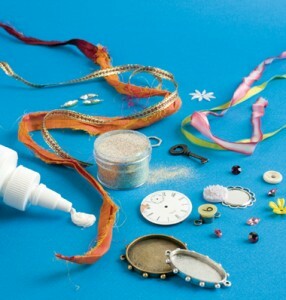 Sign up for the Beading Daily newsletters HERE and you’ll receive this FREE download, Make Mixed-Media Jewelry: Free Tutorials & Projects for Incorporating Found Objects in your Beaded Jewelry. Download your free eBook with mixed-media tutorials and projects, and start right away!